Stir all ingredients in a mixing glass with ice to chill. Strain into a chilled glass and garnish. 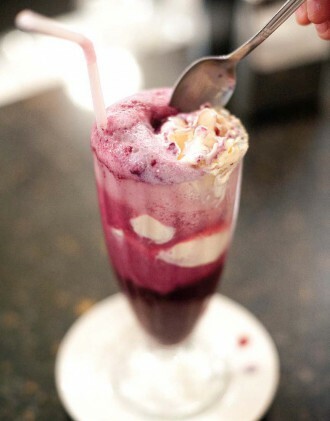 A homemade grape syrup adds a splash of true Americana to this ice cream float.